Proponents argue that smart guns could decrease gun violence, but a 15-year-old law is still holding up their proliferation. Why is a New Jersey law stopping smart guns from being sold nationwide? NBC10 investigative Mitch Blacher searches for answers. 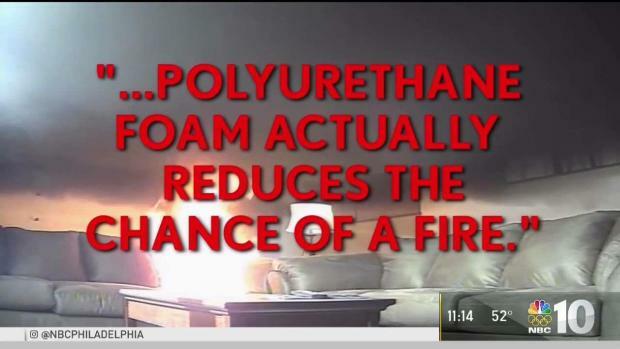 Donald Sebastian spent 12 years developing a “smart gun” that would only fire when in its owner’s hand. 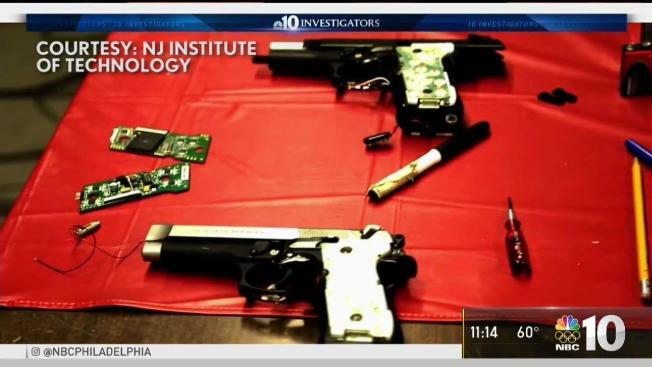 But the gun created by Sebastian and his team at the New Jersey Institute of Technology isn’t likely to hit the market anytime soon. In fact, smart gun technology may never take hold in the American market. And that has a lot to do with a law adopted by New Jersey lawmakers over a decade ago that backfired so spectacularly its effects have been felt across the entire country. “It created all the necessary conditions to increase the polarization as opposed to create a common ground,” Sebastian said. The rocky road for firearms usable only by one person has caused consternation within the gun industry for more than a decade. The technology is seen by some as a restriction on gun rights, which the National Rifle Association and others in the politically powerful pro-gun lobby have rejected in full for many years. As one Maryland gun dealer put it after he nearly became the first to stock smart guns on his shelves, the technology is seen as a criticism of one of America’s sacred beliefs: gun rights. The current unwritten rule banning the sale of smart guns by American dealers has its roots in a North Jersey lawmaker's intention 15 years ago to actually promote their use in the Garden State, which already has some of the strictest firearms sales restrictions. State Sen. Loretta Weinberg, D-Bergen, sponsored legislation in 2002 that would require guns purchased in New Jersey to use smart technology if any gun dealer in the United States began selling them. The law's effect, however, had a chilling effect on smart gun sales because the gun lobby saw the New Jersey law as a restriction on gun owners in the state. That’s what led to a backlash against Raymond when he considered offering smart guns. He initially believed safer guns, those that only their owners could fire, would get more people interested in gun ownership. For now, smart guns are stuck in a paradoxical limbo. The Democrat-controlled New Jersey legislature repealed the law in 2014 only to have Republican Gov. Chris Christie veto it. His justification at the time was that the repeal would somehow restrict the sale of smart guns, and he couldn’t support restrictions of any kind. Still, for someone like Pennsauken, New Jersey, police Capt. Tom Connor whose life and career revolve around firearms, he doesn’t understand why smart guns can’t be part of the solution to decreased gun violence. Connor knows first-hand how the technology could potentially be a game changer for law enforcement. A suspect once tried ripping Connor’s handgun from the holster on his side. Luckily, Connor fought him off, but the concern remains that another suspect may try the same thing some day. “If the technology is there to make guns safer why would we choose to make that the area of technology we don’t embrace?” Connor said.